YES, THUNDER ZONE IS GIVING A CATALOG NUMBER TO A PRETTY INSIGNIFICANT THREE SHOW JUICEBOXXX RUN. THAT'S JUST THE KIND OF FREEDOM WE HAVE OVER HERE, PEOPLE. 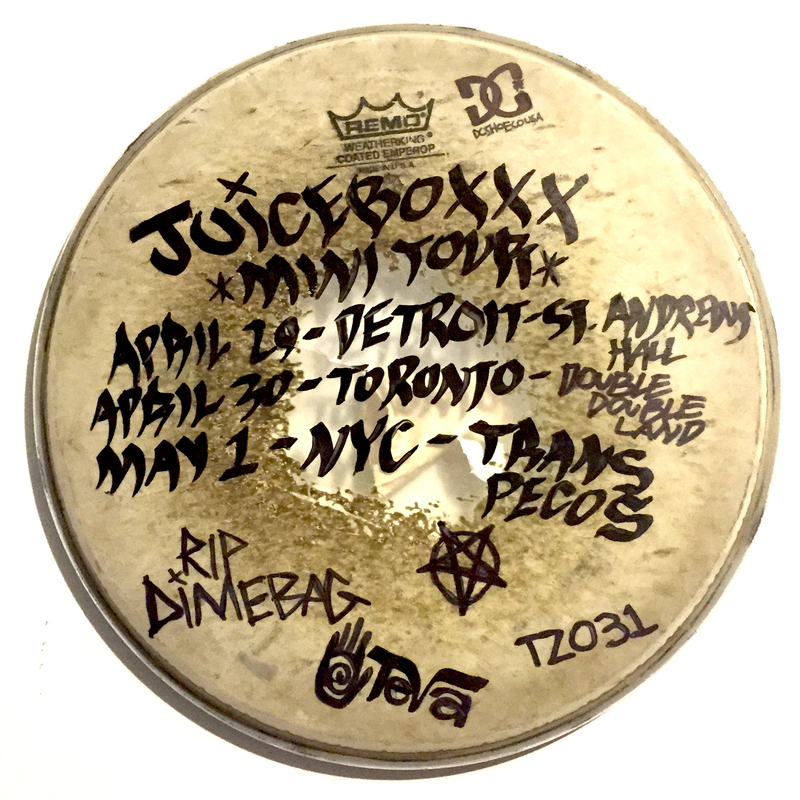 THREE SICK GIGS INCLUDING AN OPENING SLOT FOR ANDREW WK IN DETROIT AND A RAGER WITH HARIBO, EXTREME ANIMALS, SEF AND SEPTIC SUNDAY SOUNDSYSTEM IN NEW YORK CITY. "POSTER" BY D. GOOKIN.